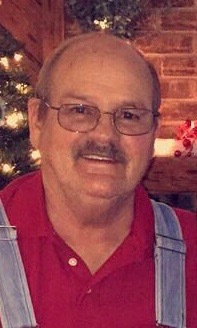 Robert Kenneth Ames Sr., 78, of Brookville, died Thursday, January 24, 2019 at Punxsutawney Area Hospital. Born November 10, 1940 in Brookville, he was the son of the late Walter and Hazel (Boddorf) Ames. Mr. Ames was a graduate of Brookville High School. He served in the US Army Reserves. He attended lumber school and was a lumber grader. He worked at P&S Railroad as a brakeman and a conductor. He attended the Brookville Church of God and the Beula Baptist Church in Florida. He sang with a barbershop group. Mr. Ames enjoyed square dancing and gardening, especially growing flowers. Survivors include a son, Rob Ames of Brookville; two brothers, Lewis Ames of Palm Coast, FL and William Ames and his wife, Rose, of Brookville; four grandchildren, Ryan Ames, Aaron Ames, Shelby Ames, and Aleah Ames; and one great-grandchild. In addition to his parents, he is preceded in death by a son, Perry Ames. Arrangements have been entrusted to the Furlong Funeral Home, 50 Broad Street, Summerville, PA. A memorial service will be held at a later date. Interment will be in the Langville Cemetery, Jefferson County. The family suggests that memorial donations be made to the charity of one's choice. Friends and family may leave online condolences, light a memorial candle, and obtain additional information at www.furlongfuneralhome.com.